Sialon thermocouple protection tubes are used with thermocouples to continuously monitor the temperature in molten non-ferrous metals such as Zinc, Aluminum, Copper, and Gold. 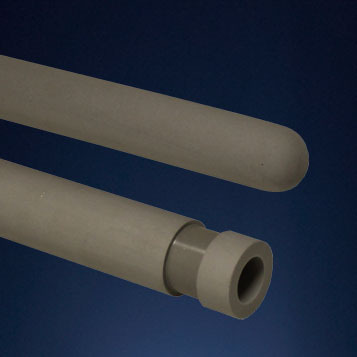 These tubes are most commonly used in the Aluminum casting industry. Sialon thermocouple tubes have excellent thermal shock resistance and therefore can be directly immersed into molten Aluminum. This material is also chemically inert and non-wetting in Aluminum which helps to prevent dross buildup at the melt line. The high performance qualities of these tubes make them the perfect choice for temperature monitoring and control in Aluminum melting and holding furnaces. 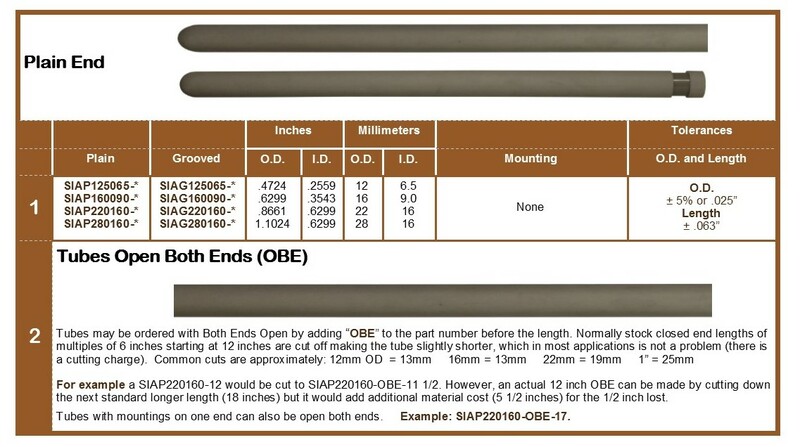 Sialon Thermocouple protection tubes can be ordered as a plain tube with or without a groove on the open end. 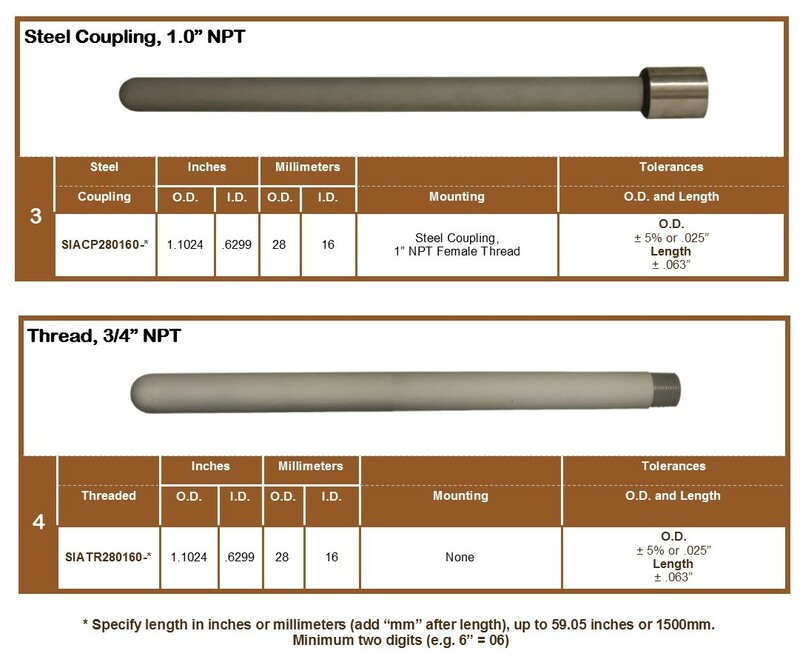 Tubes can also be ordered with a 1" NPT Steel female coupling for mounting to straight or angle industrial thermocouple assemblies.